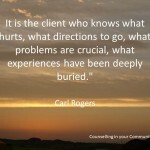 Why counselling? There are times we are faced with problems that are difficult to deal with alone. Stress at work, illness, relationship problems, caring for a terminal ill person or bereavement can all affect us in different ways. Talking through our problems can help you find coping strategies to deal with every day life. We will listen to you without judging you and will provide you the time and space in helping you explore your difficulties and work with you towards a solution. What can you help me with? Counselling in Your Community can help to address a range of issues: Anger Management, anxiety and panic attacks, bereavement and loss, career change, career counselling, depression and low mood, eating disorders, low self esteem, post natal depression, relationship difficulties, self harm, stress, trauma, work related issues including redundancy and emotional bullying, retirement, and stress. What counselling approach do you use? Hazel is an integrative counsellor. She believes in a humanistic approach with occasional directive interventions sometimes needed driven by the client, their difficulty and their personality. Is counselling confidential? Of course. We are bound by the BACP Ethical Framework which ensures that our conversations are confidential, except only if you present a risk to yourself or others. How will you help me? We shall build a trusting relationship so that your problems can be fully explored at your own pace. I will help you find alternative ways to move forward from your present position. How and where will it take place? The counselling sessions will be held at Wainwright Therapy Centre which is is easily accessible from Sheffield. I also offer home visit for people within Sheffield, Rotherham and Worksop area. For corporate clients counselling can be undertaken in the workplace. On-line and telephone counselling takes place in the privacy of your own home. What are the benefits of online counselling? Often individuals find it difficult to travel or live in remote areas or are housebound. Online counselling is affordable allowing you to choose the time and date which suits you the best, is discreet and takes place in the comfort of your own home. What are the benefits of email counselling? Counselling by email is convenient, and there is no need to squeeze all the therapy into a time-limited session so people can take their time to think over their situation, and the counsellor can respond at a time that may not be possible with face to face counselling, and can also think over their responses to you. How long will face to face counselling last? After an initial assessment we shall consider a 4 or 6 week session contract. Each session will last 50 minutes, and we shall review regularly. Further sessions will be available if you wish longer term counselling. How can I pay you? Payment for face to face counselling can be made via cash, cheque or paypal. Online counselling is via paypal. See sessions and prices for more information.